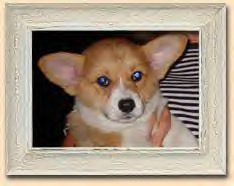 Oviedo, Florida, --- The perfect gift for the pet lover on your list. "All My Children Wear Fur Coats-How to Leave a Legacy for Your Pet" is the premier, how-to guide, and the first of its kind written by an attorney for pet owners concerned about the future welfare of their pets in the event of a disaster or the long-term disability or death of the owner. This book provides its readers with detailed instructions on how to legally ensure that a pet is cared for in the event of the owner’s death or disability. It also focuses on dealing with the emotional pain over the loss of a pet and offers grieving owners ways to preserve the memory of their pet forever. Estate planning attorney, Peggy R. Hoyt, J.D., M.B.A., a Central Florida estate planning attorney, is the author of this unique book that focuses on the issue of including pets as part of a comprehensive estate plan. Surveys report there are more than 140 million dogs and cats sharing our hearts, our homes, and even our beds. These figures do not include the millions of horses, birds, reptiles, and other pets we call "our children." Our pets do so much for us, yet few of us have done anything to ensure the long-term care of our pets. In many states, simply making a will or a trust that includes our pets may not be sufficient. Therefore, it is critical to evaluate all of the possible options when planning for your pets. John A. Hoyt, former president, and chief executive officer of the Humane Society of the United States says All My Children Wear Fur Coats is a book of celebration and remembrance!" Actress, Betty White, finds All My Children Wear Fur Coats "an invaluable guide that should be on every pet-lover’s shelf!" Paul Harvey says, "This book is for everyone who has every loved or lost a pet". 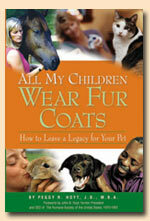 Available now, All My Children Wear Fur Coats retails for $19.95 for soft covers and hard covers are $24.95. Autographed copies or group discounts are available through Legacy Planning Partners, LLC. For additional information or to place your holiday order contact: Legacy Planning Partners, LLC, (407) 977-8080, facsimile (407) 977-8078, Peggy@HoytBryan.com, www.HoytBryan.com or www.LegacyForYourPet.com. "All My Children Wear Fur Coats" is a book of celebration and Remembrance!" 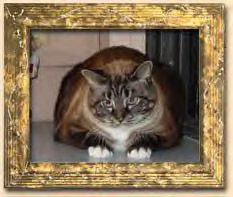 "Some senior Americans have denied themselves the terapy and enjoyment of a pet, fearful of what would happen up the road...when the pet survives alone. Peggy Hoyt, a professional attorney with a personal love for animals, tells us precisely how we can provide for the pets we love beyond our own ability to do so. This book should open new homes to countless lonely, abandoned pets by reassuring us all that love has a timeless perpetuity." "This book is an invaluable guide and should be on every pet-lover's shelf!" 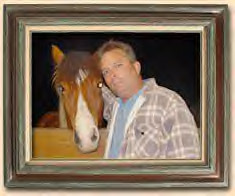 "Don't miss this book if you love pets, especially horses!" "This book is the best guide to ensure that our surviving beloved animals will be properly provided for. We surely owe them no less, in this life or the next."